Nurses are the heart of our healthcare system, and they make the lives of patients and families so much easier. 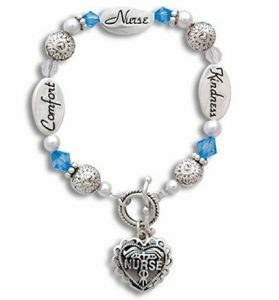 If you have a special nurse in your life, give them a gift to show how you appreciate all the hard work that they do. 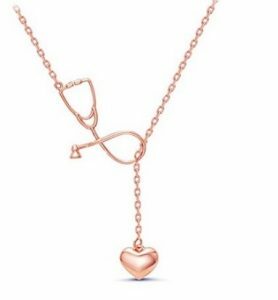 Here is a list of the 10 best nurse jewelry gifts to help you choose the perfect token of your love and gratitude for the one that takes care of you. 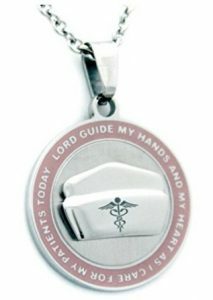 Handcrafted using solid sterling silver and comes with charms that include a dangling stethoscope, a medical caduceus symbol, a nurse’s cap, and a dangling angel holding a heart. 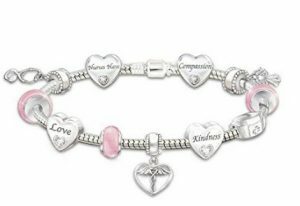 This adjustable nurse bracelet is made of stainless steel that will not rust, will not fade and will not cause allergy. It has caduceus angle and heart nurse cap charms. You can expand it to fit small, medium, and larger wrist sizes. Beautifully packaged in a pretty blue box with a poem about nurses written on the bottom. This bracelet has a sterling silver finish that does not rust or tarnish. This 18-inch lariat necklace is made of zinc alloy that requires a little maintenance. At just under $10, it is very affordable but looks very elegant and comes with a lovely gift box. This cuff bracelet is made of lead-free and nickel-free stainless steel with a rhinestone accent. It comes in a pretty velvet bag that is ready for gifting. 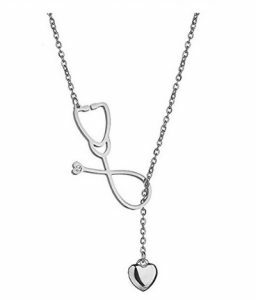 The heartbeat cardiogram design of the pendant makes this a perfect gift for a nurse. Made of high-quality stainless steel that is very lightweight at just 1.28 ounces. 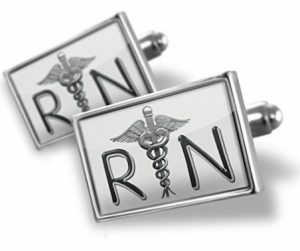 The perfect gift for the male nurse, these cufflinks have a silver-plated base and uses a high-quality rhodium plating as the top layer. Priced at around $25, it comes with a money-back guarantee. 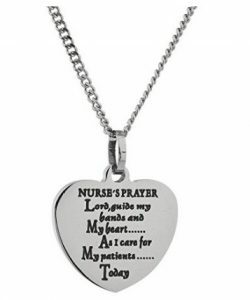 This pendant has a nurse’s prayer inscription on it and is made of high quality, tarnish-free stainless steel. You can have your name engraved on the back for a customized look. 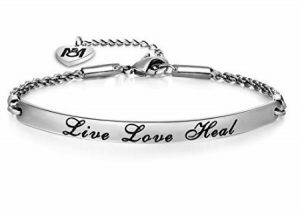 This bracelet is made of high-quality stainless steel with the inspiring message “Live Love Heal.” It has an adjustable clasp to fit different wrist sizes. Consider the recipient’s fashion style to help you get the perfect gift. If she wears dainty and small jewelry, try to avoid looking at bulky and heavy jewelry designs. A high-quality jewelry piece is created to last, so even if you have to spend more, choose one that the recipient will wear for a longer period to let her remember your warm gesture and the appreciation of her hard work. If you are giving jewelry to someone, you know deeply, you know if they are allergic to some type of metal. If you are unsure, it is best to choose hypoallergenic ones, so you will know that it will not cause any discomfort. 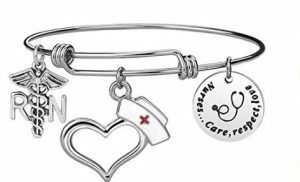 Celebrate nursing with the ten best nurse jewelry gifts that we compiled in this article. 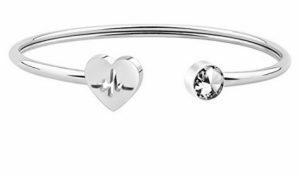 Giving jewelry gifts to the nurse in your life has never been this easy and simple.